Home Sweet Victoria Falls: ELECTRICIAN MEETING, A PURCHASE, & A SURPRISE! ELECTRICIAN MEETING, A PURCHASE, & A SURPRISE! We didn't have to add recessed lights in the bathrooms, they come standard, and no dedicated circuit in the kitchen. He said we get one anyway because it's code with the range hood. We talked about adding a surge protector on the electrical box. He gave us a price, but said that could be done later. Lastly we talked about should we do something now in the event that we want a jetted tub in the owner's suite. He said it would be better to do it now by adding a dedicated circuit, but we decided against it. We finally bought my dream vacuum today. I've been obsessed with this company for the past year, but maybe for the past few months I've longed for a canister vacuum. I can't wait to use it in the house. Finally we locked in our rate today...4.5% baby. Super pumped. 4.5% Wowser! Did you lock for 60 days? If you don't mind me asking, did you go through NVR? What is the brand? I can't read it. 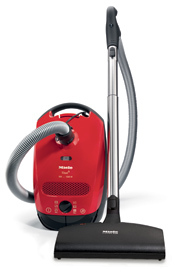 Yes we went with NVR and the vacuum is Miele. So jealous...of your tub and your 4.5!!! Love love your tub and the lock in rate IS pretty sweet. I hope we get that rate lol. That is a nice vacuum something else I can look forward to spend on when we get a new house. I also wanted to say thanks for the suggestion for the extra outlet for tray ceiling for rope lightning. I wanted that but did not think of adding an outlet there. Thank you for that and to add a dedicated circuit for future fridge. I am soo adding that to the list. Right when I thought I had everything there was something else to add. Hmm...I'm with NVR too and the rates everyday this week that I've been quoted were 4.875% for 60 day and 4.75% for 30 days. Interesting. You'd think it would be the same, especially since our credit ratings were very very good. Wow it looks great and your electrical selections got me thinking again. We have a 3-car garage as well and we thought about 3 lights but wasn't sure how it would look so we stuck with the standard 2. Will wait to see how your's looks before making that final decision...we still have plenty of time before we start building. Mark are you doing conventional or FHA? We're doing FHA. Your house looks huge! That is so great that you locked in your interest rate! It will be finished before you know it! Hi I'm Deidre and my husband is Daniel and we're building Victoria Falls in Pittsburgh. It has been a long time! Its been a while.....OK almost a year! YES!!! We Are Building a Ryan Home CONDO!!!! The Newlyweds Build a Ryan Home! New Pics!! We are really close now! PM said Drive will be poured next week! There's No Place Like Home.. THE ROOF, THE ROOF, THE ROOF IS GOING ON! WINDOWS & CONCRETE & STAIRS...OH MY!